Badmotorfinger is the third studio album by the American grunge band Soundgarden, released on October 8, 1991 through A&M Records. After touring in support of its previous album, Louder Than Love (1989), Soundgarden began the recording sessions for its next album with new bassist Ben Shepherd. The music on the album maintained the band's heavy metal sound while featuring an increased focus on songwriting as compared with the band's previous releases. 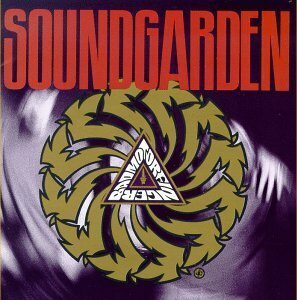 The focus on the Seattle grunge scene helped bring attention to Badmotorfinger. The singles "Outshined" and "Rusty Cage" were able to find an audience at rock radio and MTV. Badmotorfinger became the band's highest charting album at the time on the Billboard 200. The band supported the album with tours of North America and Europe, including opening for Guns N' Roses on that band's Use Your Illusion Tour. In 1992, Badmotorfinger was nominated for the Grammy Award for Best Metal Performance. The album has been certified two times platinum by the Recording Industry Association of America (RIAA) in the United States, and had, by October 2010, sold 1,517,000 copies in the United States.